Very Good. 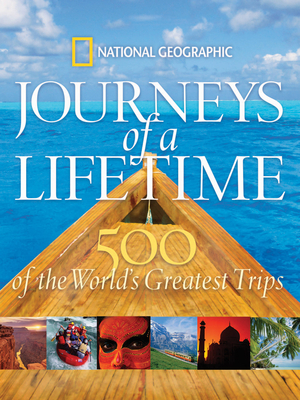 No one knows the world like National Geographic-and in this lavish volume, we reveal our picks for the world's most fabulous journeys, along with helpful information for readers who want to try them out. Sewn binding. Cloth over boards. 400 p. Contains: Illustrations. Good. No one knows the world like National Geographic-and in this lavish volume, we reveal our picks for the world's most fabulous journeys, along with helpful information for readers who want to try them out. Sewn binding. Cloth over boards. 400 p. Contains: Illustrations. Great Coffee Table Book ..
Great reports and descriptions on a huge variety of trips. Just need a sponsor or lotto win now.